Unexpected company? Keeping frozen puff pastry on hand will solve the problem. These prosciutto rolls are perfect for an antipasto party or just to have when company calls. You can freeze the prepared rolls and bake them as needed. Roll each sheet of puff pastry out on a lightly floured surface into a 12 x 14 inch rectangle. Brush each sheet with 2 tablespoons of the mustard and sprinkle 1/4-cup of the cheese evenly over the surface. Overlap slices of the prosciutto over the cheese. Roll each sheet up on itself like a jellyroll. Wrap each in plastic wrap and refrigerate. When ready to bake, preheat the oven to 425 F. Cut each roll into 1/4-inch thick slices and arrange on ungreased baking sheets. Bake for 10-12 minutes or until nicely browned. Serve warm. 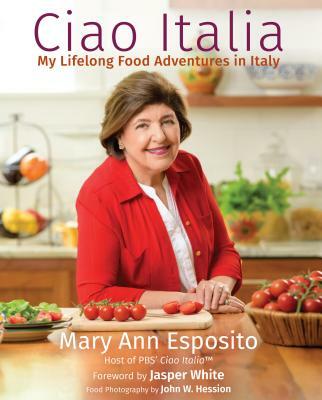 This recipe was featured in the Ciao Italia Monthly Newsletter. Love your TV shows and your newest cookbook is the best yet. California has many Italian families in the Bay (San Francisco) area.